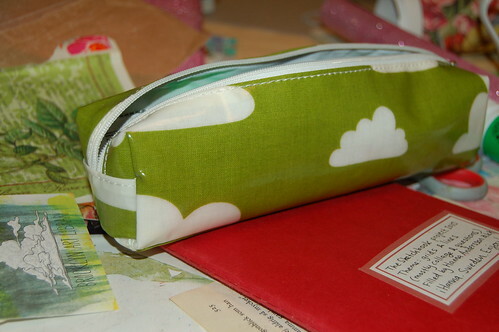 Green sky on a cloudy day, a favorite pen keeper + gift from my friend Maria. 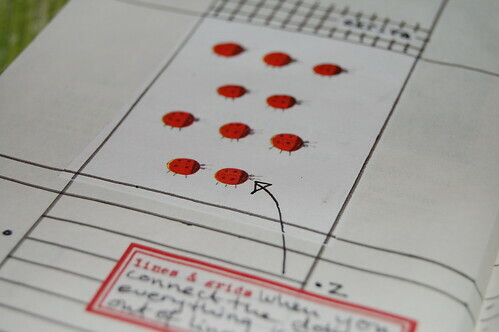 Writing lines and little red dots that are lady bugs. What, dots? Detail photo of the lady bug illustration. 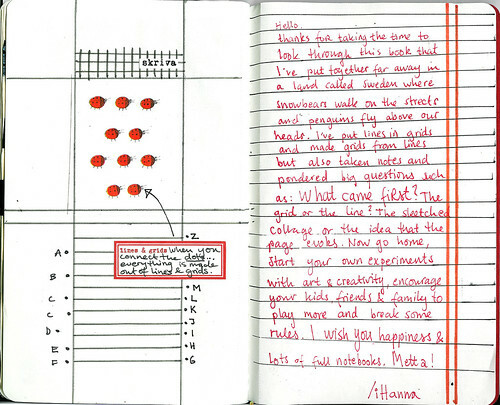 Dots in the grids and lines book? Am I going crazy you ask? Well the image had to be there so my thoughts turned it into another question: What happens when you connect the dots? Answer: you get a grid of lines! 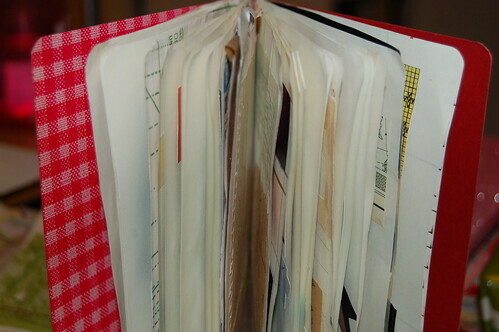 Vertical lines of the now filled sketchbook. 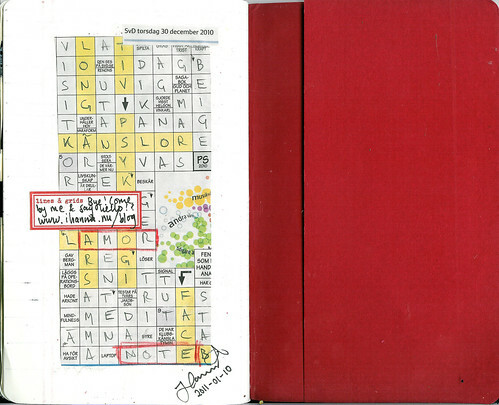 This entry was posted in Notebooks and tagged grids & lines, on a theme, sketchbook. Bookmark the permalink. Oh, this is so inspiring! Many thanks for sharing your sketchbook! 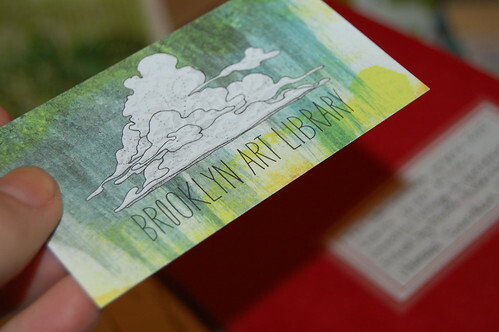 i, too, really enjoyed participating in the sketchbook project. i love the approach you took and wish i could check out your book but it is not going to be near me. it has been so inspiring, though, to see the photos of it. This is great ihanna! I loved being able to be taken through your sketchbook project piece on the slideshow. Great stuff..well done. Its been a fun project…and allowed us all to see peoples work from around the world. Good luck with new work. Hanna, this is beautiful to see it in video format! You did a magnificent job incorporating so many different versions of grids and lines. I loved the sewing patterns, the stitching patterns, the building plans. Truly brilliant. You were smart to scan and make your own video. I paid extra for them to do it and I still haven’t gotten my file! Hanna, I have to tell you that this sketchbook fills me with awe. You have lines, grids, and drawings and you’ve made action and arrows, your own little box to write in, and this is so clean and still fun and active! Wonderful sketchbook. So sorry I missed it when the exhibit opened in Brooklyn. Perhaps I will have another chance to see it when all the books return home to New York after the tour.